A fully-equipped umiak sits at the edge of the pack ice in the Bering Strait ready for its crew to hunt whales. The equipment includes a darting gun, an update of the historic whaling harpoon, which would be placed for easy access in a harpoon rest at the bow when hunting. 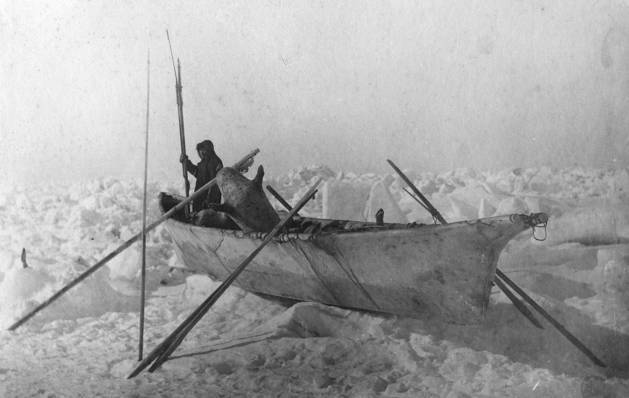 Also visible are oars and a sealskin float. Photo by B. B. Dobbs, courtesy of the Anchorage Museum of History and Art, B98.16.15.